Visiting Antelope Canyon in Winter: Upper, Lower, Or... Neither? Tens of thousands of people visit Antelope Canyon each year. There’s no doubt that it’s a truly spectacular and breathtaking site. The way the oranges and purples mingle together, the way the thin colorful lines dance across the rocks and the adventure of climbing through the slot canyons is unparalleled. Unfortunately, like most popular sites though, you have to peer over the heads of others, get your shot within a second before someone else walks through it, and shell over a pretty penny just to get in. Let’s dig and see what’s hidden (almost literally) in these canyons. Visiting Antelope Canyon: What’s All the Fuss? 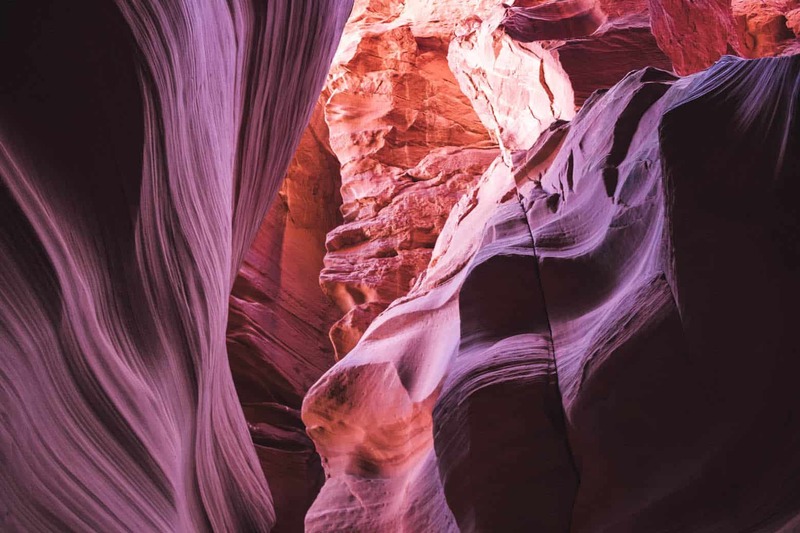 Antelope Canyon near Page, Arizona, is easily one of the top 25 places to visit in the entire world. Opened to tourism in 1997, Antelope Canyon, in the heart of Navajo Country, sees hundreds of thousands of tourists walk through each year. 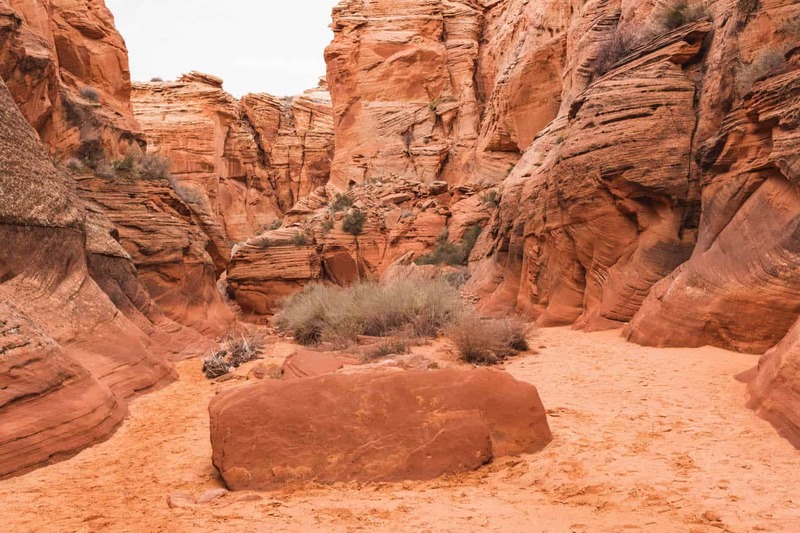 Millions of years of water erosion due to flash floods in this part of the desert have led to a magnificent underground landscape of twisting turning sandstone. The ground is rock and sand, and the roof lets sunbeams and falling sand sift down to the ground where you stand, creating a visually stunning marvel. And that is how this incredible (and incredibly) famous tourist attraction was born. Those oranges and purples! Oh, my! Best Antelope Canyon Tour: Upper Canyon? Maybe. Upper Canyon is where you will get all the fabulous light beams. Those beams are best seen from March to October, and you’ll want to see them midday, from around 11 to 1; they virtually disappear otherwise, oh, and it HAS to be sunny out too. Sure, you can see the light beams from Lower Canyon, and you may get a hint of them around other times of day and year, but the reason Upper Canyon is so popular are those light beams and the accessibility. 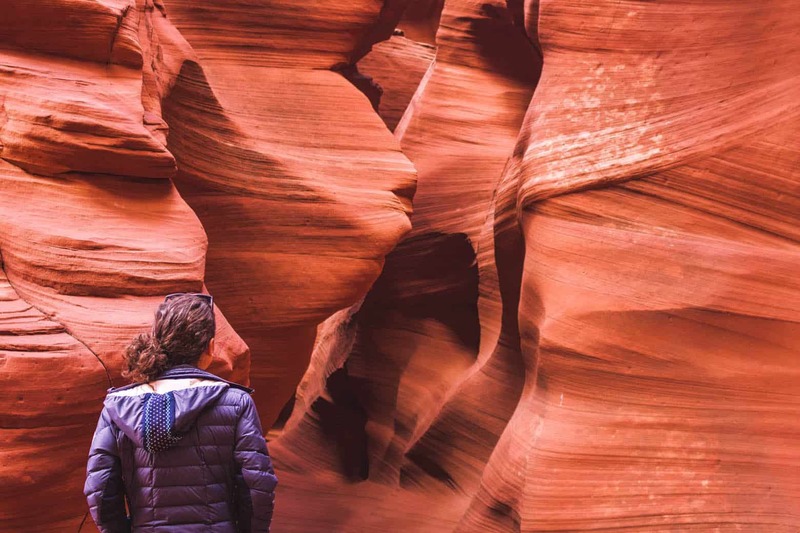 Visiting Antelope Canyon in the Upper Canyon area is easy in terms of getting there, getting into the canyon, and walking around. 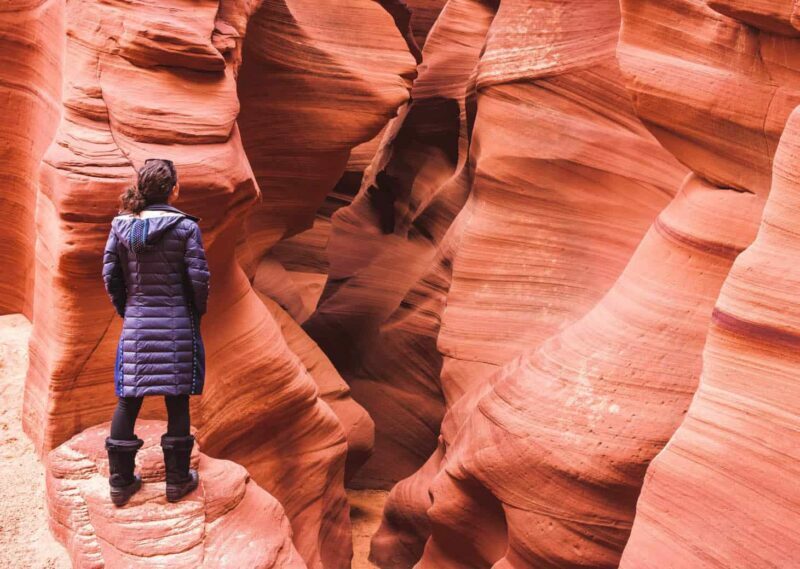 Visiting Antelope Canyon in the winter is a winner. 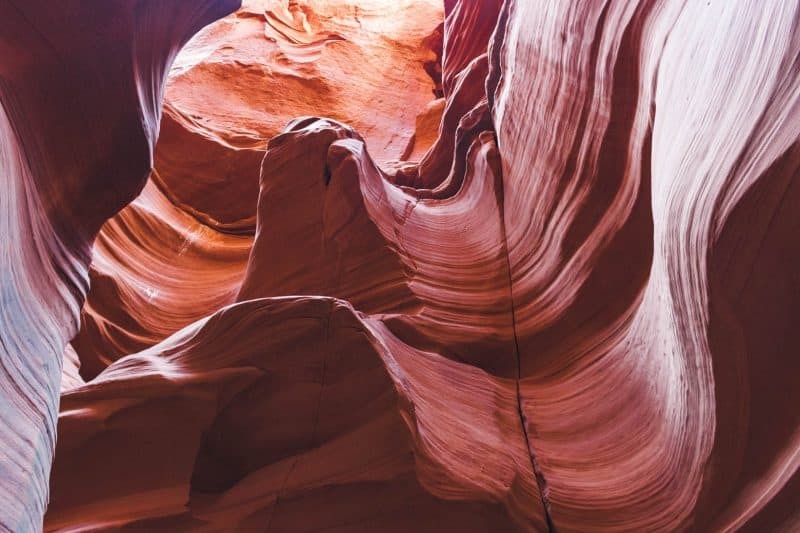 Best Antelope Canyon Tour: Lower Canyon? Some will argue for Lower Canyon then, despite its rough terrain and tight cracks to creep through. You have to take a steep ladder that can get slippery from the falling sand, and you’ll have to scramble over uneven rock in some areas. However, if you are mobile and fit, you might be inclined to choose to visit Antelope Canyon this way. Both tours also have rules and they are constantly changing. Recently, the photography tours for Lower have been canceled because it’s just too busy! You also can’t use a tripod which can totally ruin your idea for a shot. People are actually happy when the tour is done! 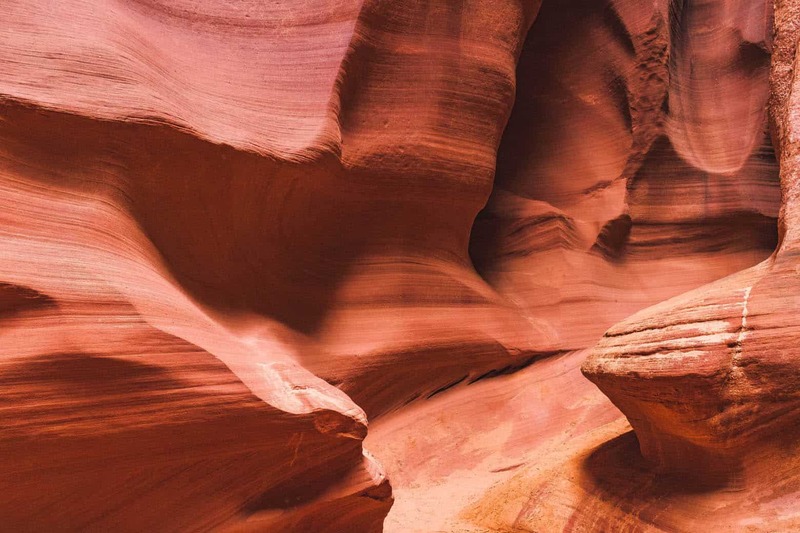 If you’re visiting Antelope Canyon for the first time, there’s no way you wouldn’t want to stay longer. 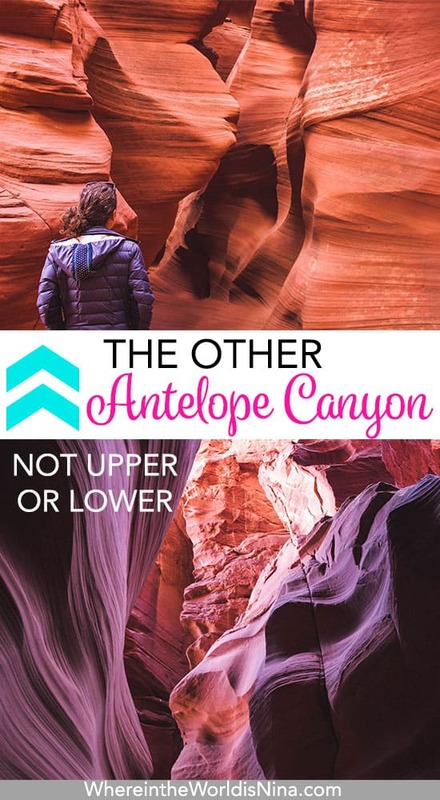 Best Antelope Canyon Tour: NEITHER! So what’s my recommendation? If you’ve read everything else I’ve written, you’ve probably already guessed my answer: neither! Wait. What? You mean Antelope Canyon is a massive Canyon full of other routes and possibilities? You mean I can explore one of the most marvelous natural attractions on earth without rubbing shoulders with 100 strangers in the process? Yep. The other canyon. You are now privy to my little secret. Of course, it won’t be secret for long. Many tourists are already catching on, (prices are already rising since I visited Antelope Canyon in winter last year) and the crowds are starting to gather. So if visiting Antelope Canyon is on your bucket list, move it to the top. You get the same beauty at Canyon X, the same mesmerizing sandstone, the same cracks, and crevices to wind through, but without the crowds. You will have room to move around and explore, and you’ll get some great pictures to boot. You will also pay less. A friend and I booked a tour for this section of Antelope Canyon in winter and it ended up just being us and our guide, the price was great (around $25 at the time), and we saw literally not one other soul. For this kind of place, serenity is key. All bundled up but not a care in the world because I have this fairytale land all to myself! The beams of light aren’t very likely. Yes, it’s true. Canyon X does not have the beautiful beams of light that you will find in Upper Canyon. But, you really have to ask yourself if catching the beams of light at the perfect time of day at the perfect time of year (while crossing your fingers that the weather participates) is really worth the long lines and overbearing crowds. If you’re not sure, trust me. The glorious sights even without the beams of light are still something you will remember for a lifetime. Canyon X has the same crazy formations and colors as the other canyons. 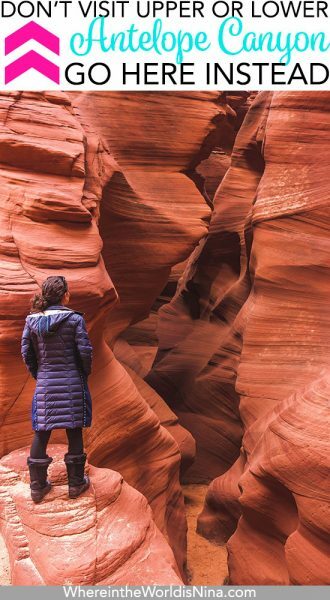 Visiting Antelope Canyon in winter is stunning. That’s when we went, and I cannot rave enough about the advantages of going to Antelope Canyon during the off-season. Antelope Canyon in winter is less crowded, cooler than those awful desert summer months, and, again, cheaper (maybe not the actual entrance fee but everything else). The pros far outweigh the cons; check out Antelope Canyon in winter time, choose Canyon X, and make sure your camera is fully charged. Grab your jacket, put on your beanie and your hiking boots, and go. You can thank me later. At the end of the day, despite the potential of crowds and the price, the beauty of Antelope Canyon is nothing to miss out on. And it’s all up to you how you spend your time here and you may very well want to see all the areas you can. One thing to note about Antelope Canyon Tours is that they are high regulated and it’s impossible to enter the canyons without a tour. There are few tour companies and you have to go on a guided Antelope Canyon Tour in order to even get close. 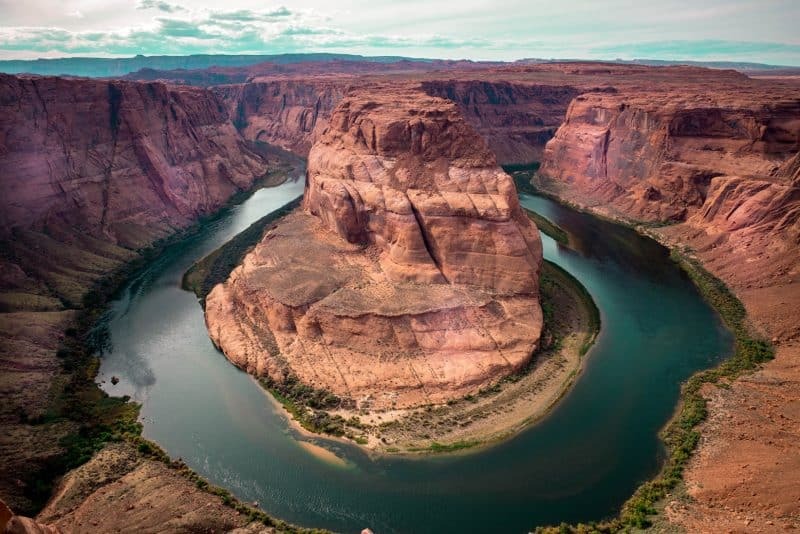 Horseshoe Bend in winter is also less crowded! 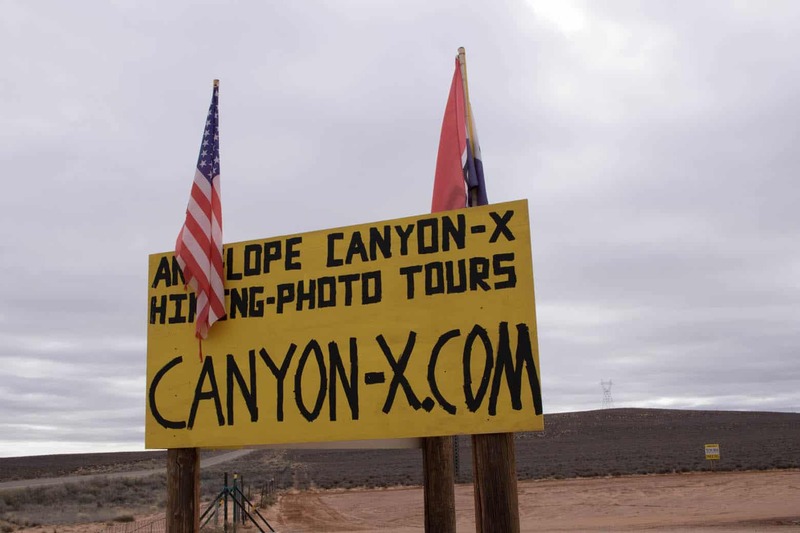 And After Visiting Antelope Canyon? You’d be crazy to miss out on Horseshoes Bend. Literally, everyone meandering through Page, Arizona visiting the Canyons stops here. It’s worth it. It’s super easy and only takes a few minutes walking from the parking lot. Go! a small bag – depending which tour you take, you’ll be in very narrow spaces and a large bag simply can’t come along. something to protect camera gear – like a plastic bag, from dust. It’s also not recommended to change lenses, get the lens you want on before entering the slot canyon. Visiting Antelope Canyon soon? Or have you been already and have your own secrets? 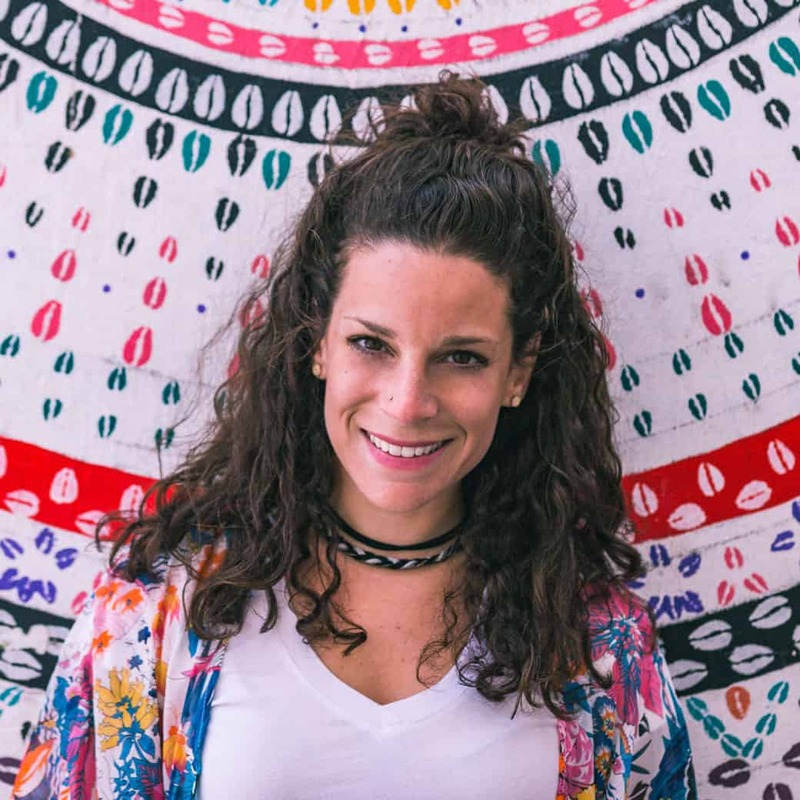 Tell me about your trip in the comments! Where are you off to next? Check out some of these other great adventures around the USA. My daughter and I are going to be staying in the area on January 3rd through the 5th 2019. Are there any available tours in antelope canyon during this time ?